Laura Gunnip continues in the tradition of Door No. 3 Print Studio by helping students of all ages engage in the radical act of creative self-knowledge through letterpress and printmaking classes. 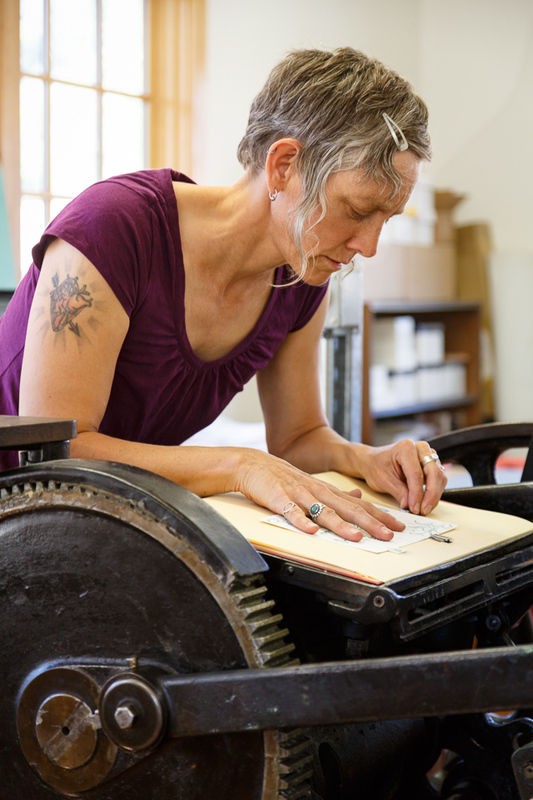 Fireweed Print Shop is a community resource and home to two etching presses, antique letterpresses and screen printing facilities, as well as a retail space of Laura’s hand printed items. Laura Gunnip engages with the moment creating a participatory art practice that is both fun and courageous. LOCATION: TwispWorks campus building 9. HOURS: Sat 10am-2pm, Apr-Oct, and by appointment. INFO: lauragunnip@gmail.com or call 509-449-1789.